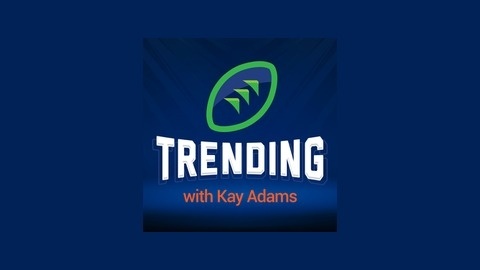 Kay Adams - fantasy sports expert for NBC Sports, DirecTV’s Fantasy Zone channel and others - brings you fantasy football truth! Can you handle the truth? Weekend Preview - FanDuel's Aaron Nagler joins Kay to get you ready for Week 11 - Who are this week's TOP Sleepers? Who are the Top Sleepers this week? 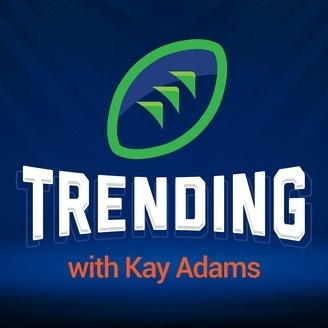 Nagler of FanDuel and Sports Illustrated joins Kay to preview Week 11 in Fantasy Football and reminisce about their Midwest days. Kay has a bone to pick with Aaron as her Bears have been playing better than his Packers. Why is Kay mad at Olivia Munn? Is something she did bothering Aaron Rodgers, or is it the perfect controversy of ridiculousness? Listen here to find out. Today's episode of Trending is sponsored by ADIDAS. Matchups Edition - Former NFL Fullback Jon Ritchie previews Week 8 with Kay - What will Jon & Kay be for Halloween?